US President Barack Obama, Prince Charles, Brown, Canadian Prime Minister Stephen Harper and French President Nicolas Sarkozy arrive at the Colleville-sur-Mer cemetery to attend a ceremony marking the 65th anniversary of the D-Day landings in Normandy, June 6, 2009. 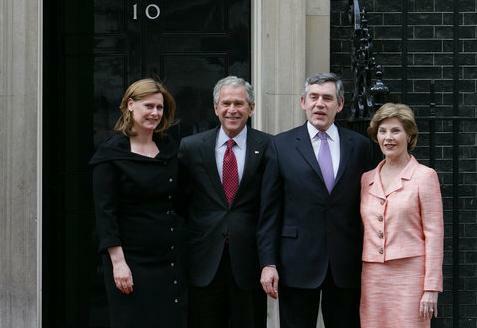 Gordon Brown Facts for Kids. Kiddle Encyclopedia.